Kids, fancy a history lesson? In a land far, far away there was a time when the only way to listen to music was to remove huge frisby-looking objects from their well kept sleeves and to put them under a mystical looking player with the steadiness of a surgeon and hope you didn’t scratch it. There were no iPod’s, no Spotify and no earphones to aid you from talking to anyone. 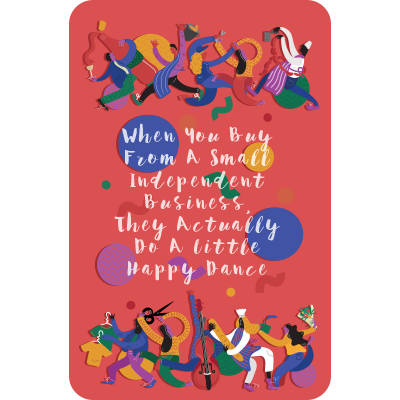 In the 1980’s there were more than 2,200 record stores in the UK, but the advent of music downloads on the internet has seen shops close, shutters pulled down and owners re-train. But that was then. Vinyl has made a comeback and risen out the ashes like a phoenix. 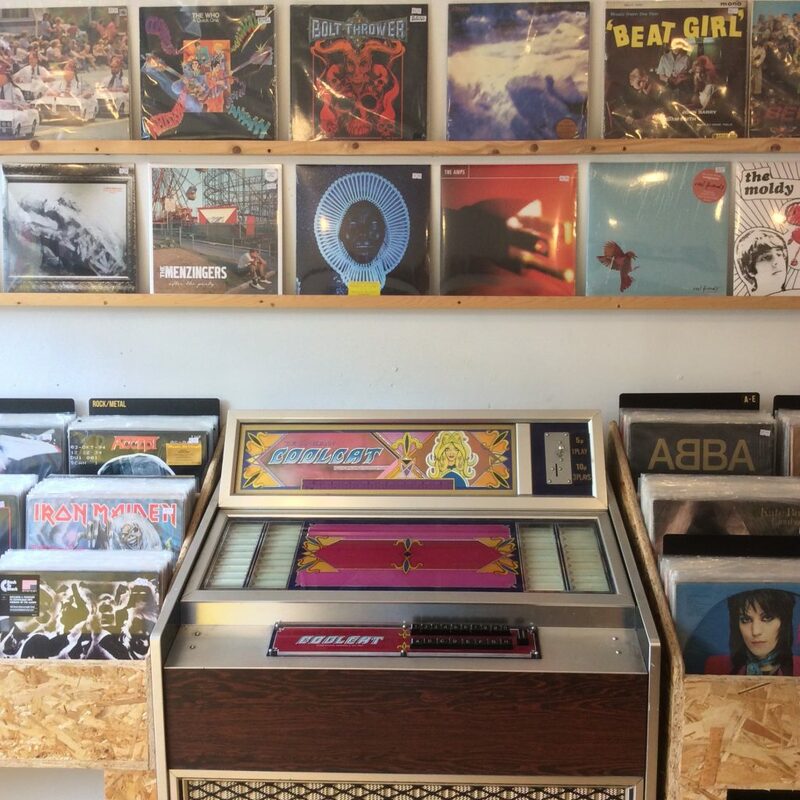 Opening a record shop was something Graham always wanted to do – even though it felt like it’d only be a pipe dream forever. It started when he was 6. Whilst most kids were playing kerby or mourning the loss of their tamagotchi, Graham received his first vinyl; ‘Too Good To Be Forgotten’ by Amazulu. His first thought when arriving in any new city is ‘where are the record shops?’ And now he can proudly say he will be one of the places people think of when they have that same thought visiting Liverpool. It took a long time to settle on a name. While Graham was deciding he kept seeing ‘Defend’ used as a prefix in various places, his favourite being Defend New Orleans which he had seen on a trip to the U.S. They are dedicated to New Orleans and it’s independent spirit in much the same way he wants the shop to be about the love of record collecting and preservation of vinyl so that seemed like the perfect message for the shop and a tip of the hat to his second love; New Orleans. He’s got good taste. A few years ago we’d have been bamboozled by the news of a vinyl shop on Smithdown. But, amongst the Guardian-approved bistros, big burritos, kebab shops, tattoo shops, cooperative cafes, alternative vegan supermarkets, wood-fired pizza restaurants and more – it almost completes the puzzle. Lest we not forget The Smithdown Road Festival, the inaugural grassroots get-together that never fails to impress. 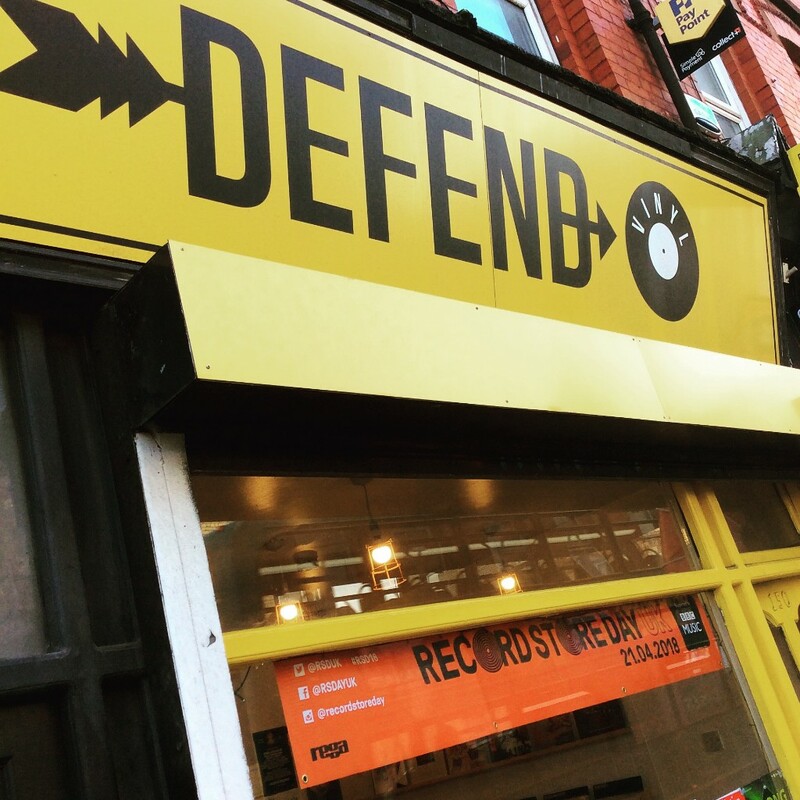 To say there wasn’t something infatuating about Smithdown Road at the moment would be a lie and Defend Vinyl is a component in the renaissance. Record Store Day comes but once a year but thanks to a dedicated few, it is a ritual that the people of Liverpool can rejoice in whenever they please. Held on the third Saturday of April each year to celebrate the culture of the independently owned record store, the day brings together fans, artists, and thousands of independent record stores across the world. In Graham’s story there has been a couple of jobs at labels, some gigs, two albums released with his band Voo, a tour of Germany with 28 costumes, playing bass with Silent Sleep and some office jobs along the way that he tries his best to block out. He’s an interesting man with a passion for everything music and vinyl and Defend Vinyl might be the happy ever after we all deserve.